The manager in any workplace functions as one of the most important and vital people to the productivity and effectiveness of employees. While a good manager is able to inspire groups of individuals, a poor manager can cause a number of problems within any workplace. As a manager, the responsibilities may seem endless, but the reward of a job well done can pay off for decades. When employees work for good manager, they inevitably become better at their job as well. Here are some tips to bring out the best in any manager, whether you’re the actual manager, the employee, employer, or even consumer. Managers have a responsibility to lead through their own actions, and their own accountability will reflect the level of accountability for those around them. 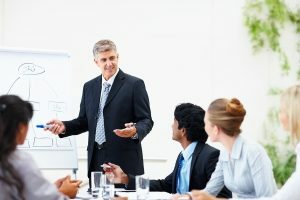 In essence, it is the manager’s job to lead by example, learning how to do the things they expect of their staff themselves. Managers who take sincere interest in the careers of their employees, are regarded as the most positive influences on their workplace. If you’re a manager, take a step out of your position and discuss your employees career path as a friend who offers support. Even the knowledge of the things your employee values can create a kinship within the group. As a manager, you should have high expectations for where your team is going, but not without maintaining a realistic approach. Ensure that timelines don’t stress your employees, and ensure that flexibility is built into the developing stages of any big project. Try to keep employees involved on the large scale goals of their work, and help them see the major impact of their efforts. Providing honest feedback is essential for managers to ensure that their team is working effectively. Managers who regularly have discussions with their team members are able to provide insightful feedback while instilling a level of confidence in their employees. Often employees are looking for direction and accountability, and if you satisfy these, it will benefit both the employee and the company.